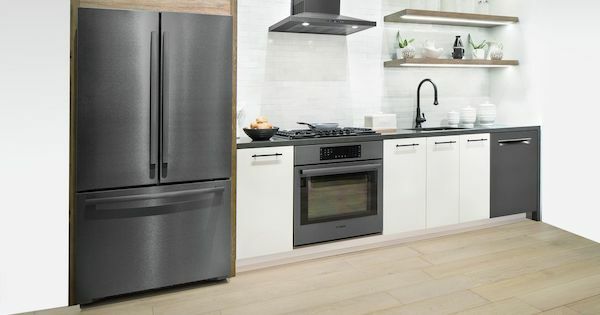 If you want to upgrade your kitchen with a new distinctive and rich look, the new black stainless steel that has just been released by Whirlpool in 2018 might be a great fit. It can create a look that will WOW your family and friends! 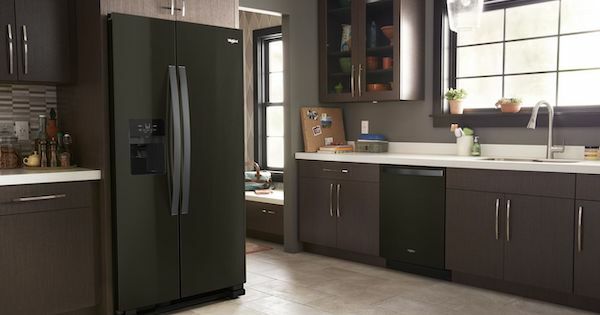 With all the new colors that have come and gone in the appliance industry, black stainless steel has the strongest commitment from the manufacturers and will probably give stainless steel a run for its money in the future. It is also currently offered by LG, Samsung, KitchenAid, Frigidaire, and GE. Bosch also recently came out with their own version of black stainless steel as well. The color, finish, and the manufacturing process are all slightly different from one manufacturer to another. 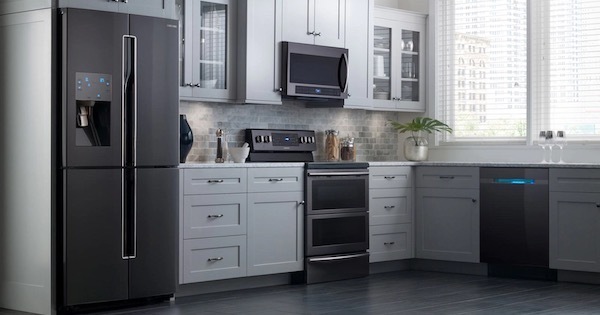 If you want to upgrade your kitchen with a new distinctive and rich look, the new Black Stainless Steel appliances that are offered by Samsung and a few other appliance manufacturers might fit in well with your plans. They can help create a look that will WOW your family and friends. 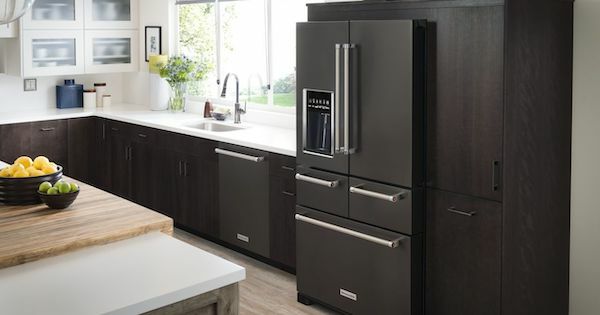 With all the new colors that have come and gone in the appliance industry, black stainless steel has the strongest commitment from the manufacturers and will probably give traditional stainless steel a run for its money in the future. 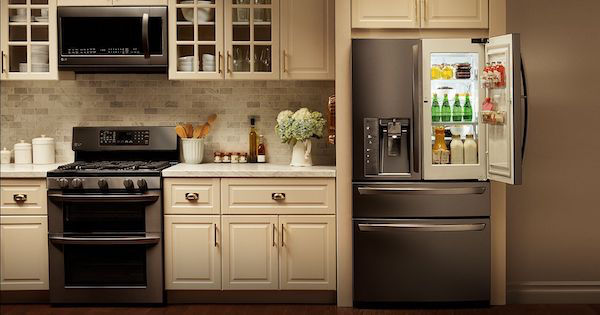 It is also offered by KitchenAid, LG, Frigidaire, GE, Whirlpool and Bosch. The colors are slightly different from one brand to the next as is the manufacturing process. 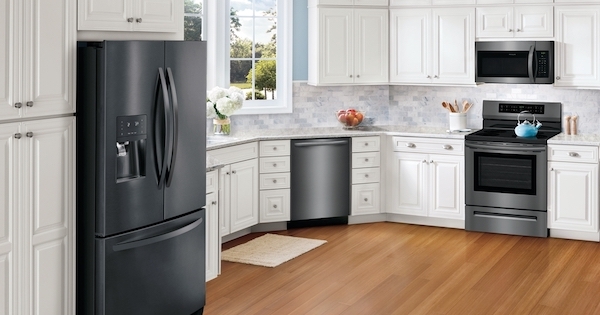 Are you considering a suite of black stainless steel kitchen appliances? 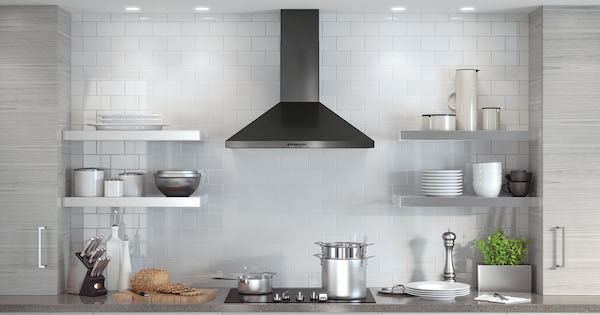 Finding a matching range hood just got easier with our black stainless steel range hood reviews! In this article, we'll review five chimney-style range hoods available in black stainless steel from several brands. 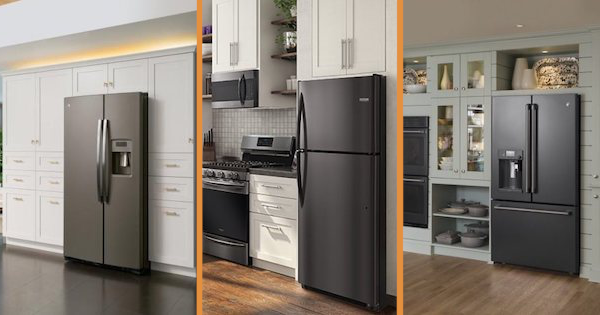 We recommend taking a look at these models in person, because each brand has a slightly different take on black stainless steel - read our article Black Stainless Steel Appliances - Reviews (Pros and Cons) to find out more! Now, let's dig into the chimney-style black stainless steel range hood options currently available. 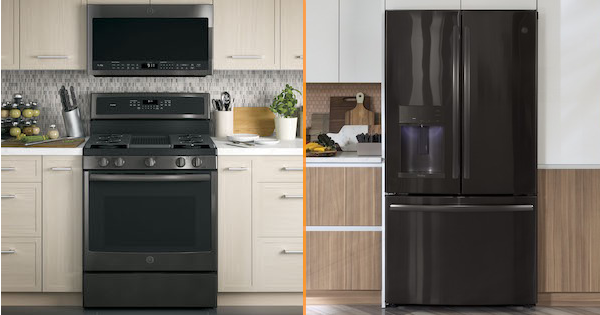 These are an important appliance to consider if you're looking into appliance packages to bundle a kitchen revamp into one purchase. The products are numbered for your convenience but are listed in no particular order.